only $1 to download and print yourself (4 to a page), a small extra charge for custom designing. 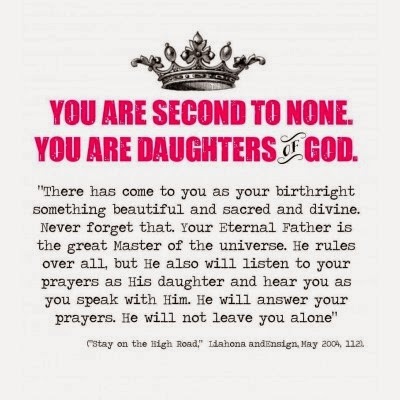 Check here for all our religious products and contact us here to customize! Need a quick baptism gift? We have you covered! We have a good sized selection of gifts, small or large, to congratulate that special person! "Congratulations on CHEW-sing to be baptized!" Check here for more gifts, or for best selection come on by the store! For May's Visiting Teaching gift, we've designed three lovely bookmarks using three quotes from April's General Conference. They are tucked inside a mint green or coral 9" envelope, and also come with two vintage chick-o-stick candies. 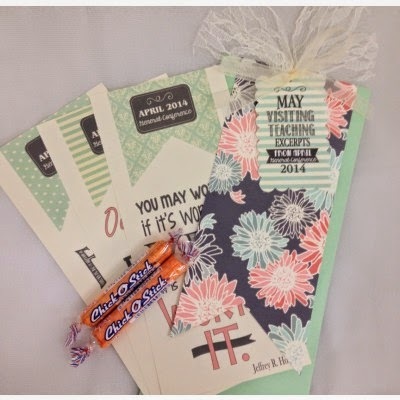 We've finished the gift off using cream or gray lace and a tag that reads, "May Visiting Teaching, Excerpts from April General Conference 2014"
We think you will love the beautiful color combo of gray, coral, and mint and hope your sisters will enjoy using their bookmarks in months to come! For this month's Home Teaching we have created a bright colored design that reminds us that "We can always COUNT on our Church Leaders." The design has four quotes from General Conference. In each square of the design there is a highlighted number that correlates with the quote, this month's message is sure to be a fun way to remember April's General Conference. The visiting teaching message this month (from the Ensign) is entitled, "The Divine Mission of Jesus Christ: Light of the World." We want to include women from all over the world... and remind each other that He is the Light of the World and we are indeed LUCKY to know who He is. We have created a (vintage inspired) gift that we hope you'll love. An old fashioned map holds the message from the Ensign as well as a chocolate Cup of Gold candy bar. 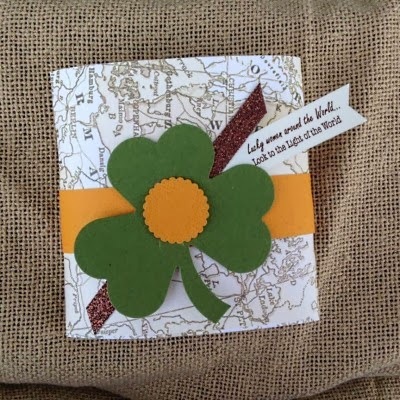 We've adorned the gift with a band of golden cardstock, a lovely green clover, glittered ribbon, and a tag that reads, "Lucky Women Around the World... Look to the Light of the World." We hope you feel as LUCKY as we do to know Christ and share this message with others. Ribbon and chocolate may vary from description, but know that it will always be "Pioneer Party" approved! The title for March's home teaching message is "Service and Eternal Life" (written by President Henry B. Eyring).